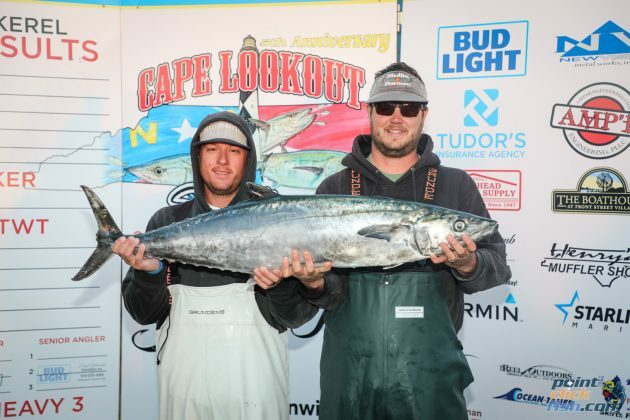 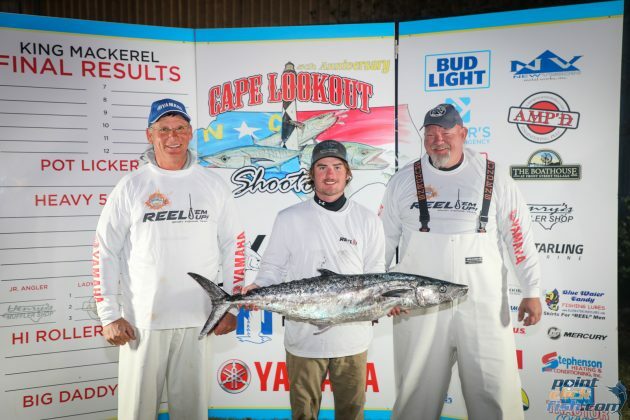 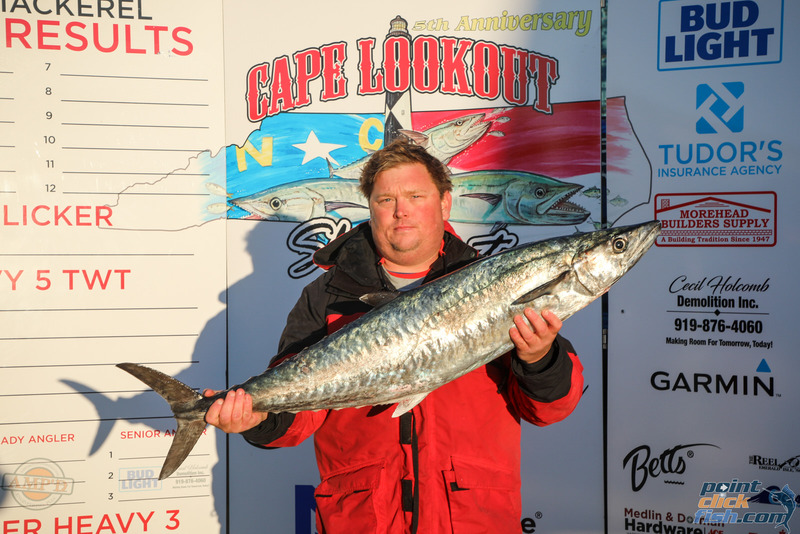 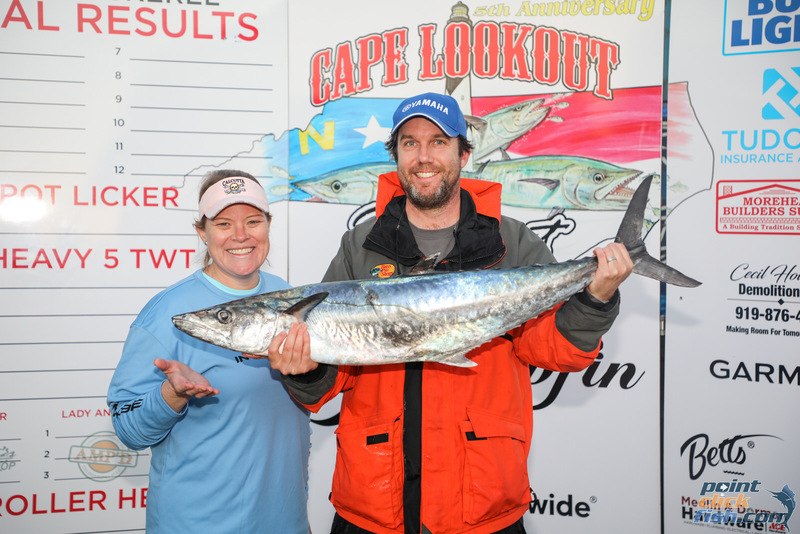 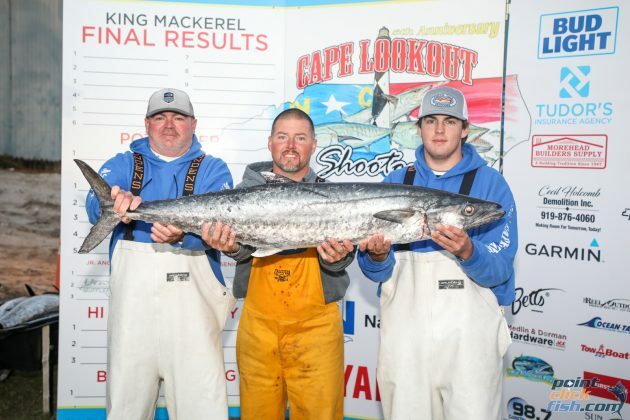 The Cape Lookout Shootout King Mackerel Series was pushed to the limit by weather postponements this year, but persevered to complete their championship tournament on the originally scheduled weekend. 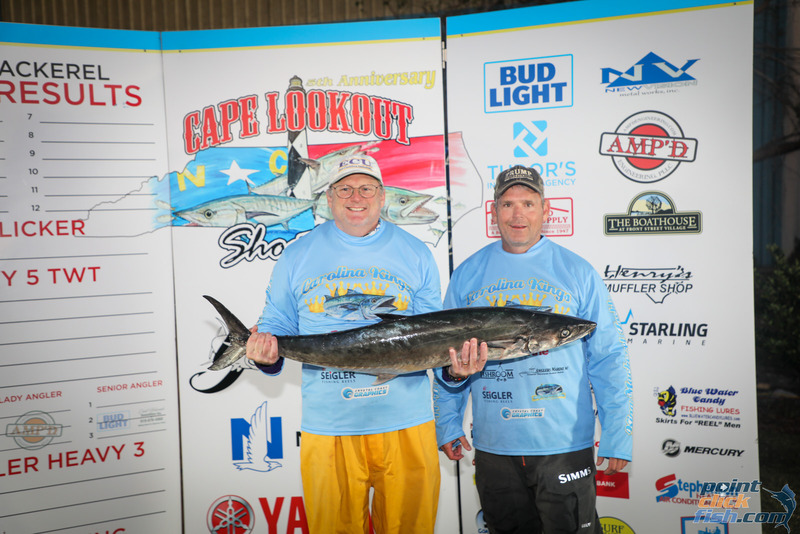 This required holding the championship and tournament 3 together on the final day, but late Sunday, November 18, Team Blue Water Candy was proclaimed as the tournament winners and the 2018 Team of the Year. 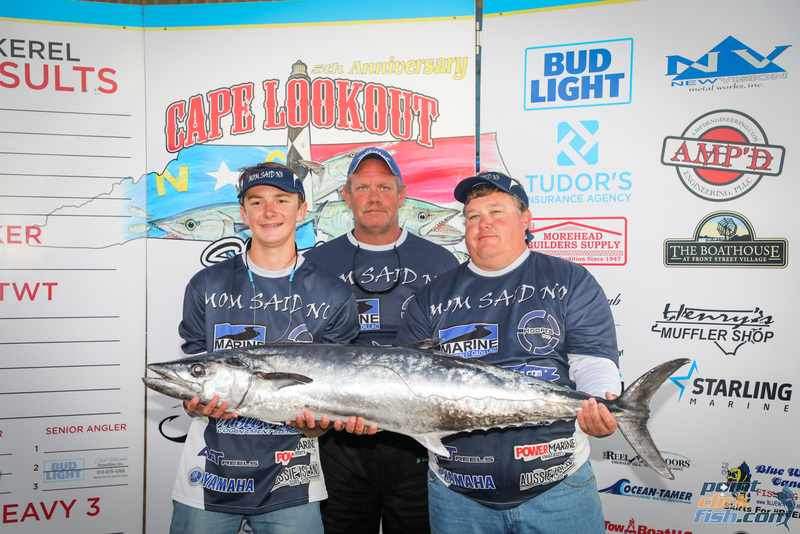 Team Blue Water Candy is led by Capt. Jody Gay of Blue Water Candy Lures and includes Russell Weaver of Blue Water Candy Lures, Brad Knight and Jeff Atkinson of Onslow Bay Boatworks, and Junior Angler Connor McLean. 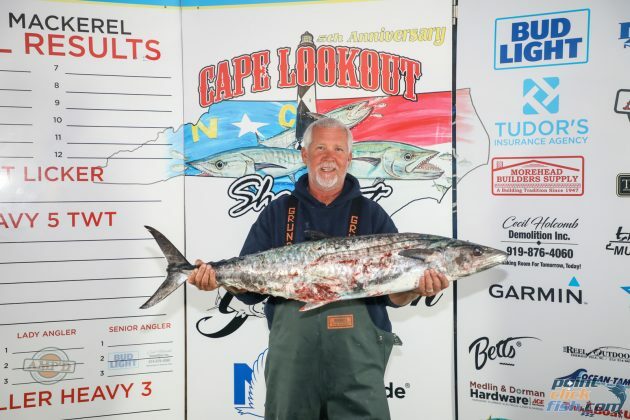 After a summer and early fall of iffy weather, Championship Weekend in the Cape Lookout Shootout King Mackerel Tournament Series became very busy. 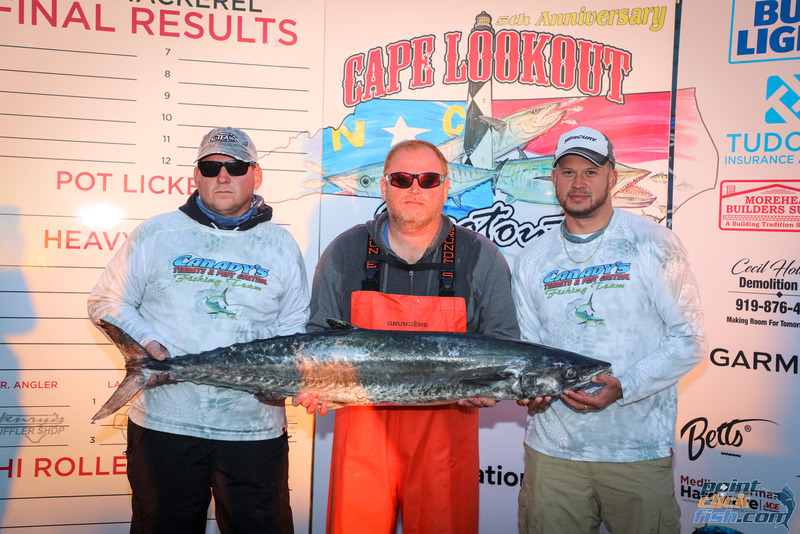 Three tournaments were scheduled for back to back to back. Weather again intervened and this was pushed to three tournaments in two days. 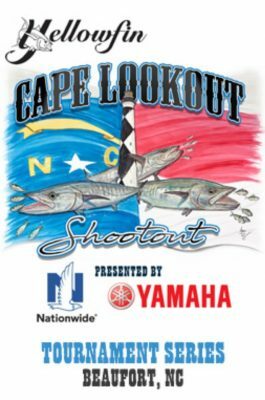 Fishermen in the Cape Shootout Series are some of the best in the country and they were ready, just waiting for a weather window. After the first tournament of the weekend produced a pair of 50 pounders and a bunch more kings in the forties, the fishermen were even more eager and primed for the final tournament and championship which ran concurrently from The Boathouse Marina in Beaufort. The sun rose bright on championship morning to show the best ocean conditions Cape Shootout fishermen had fished in all year. 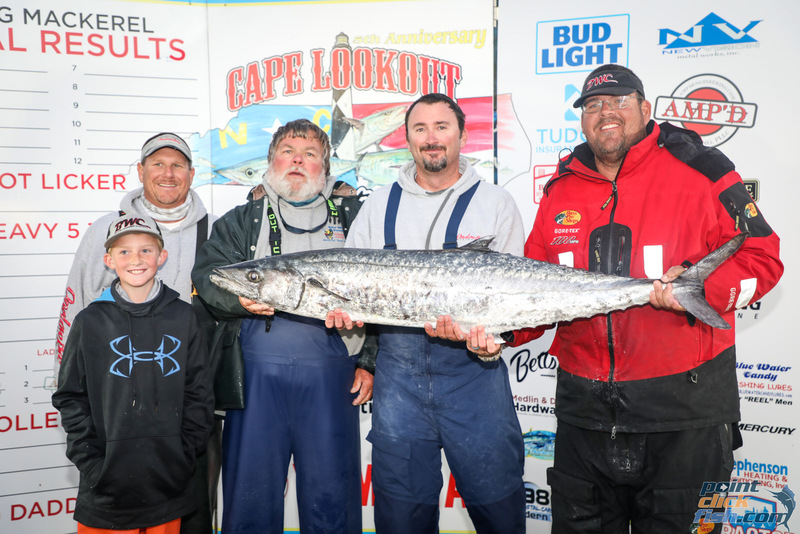 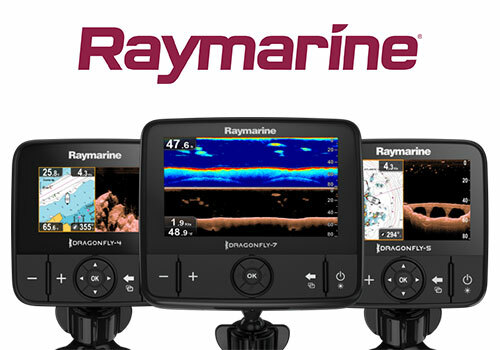 There would be no excuse about conditions not allowing fishing where teams wanted to go. 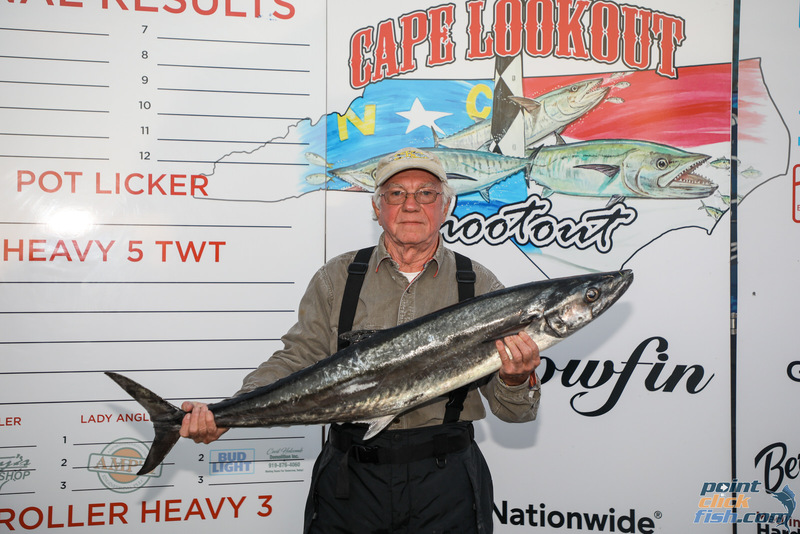 Unfortunately, bait was more than scarce. Several teams got on it early and caught it quickly, but many struggled. 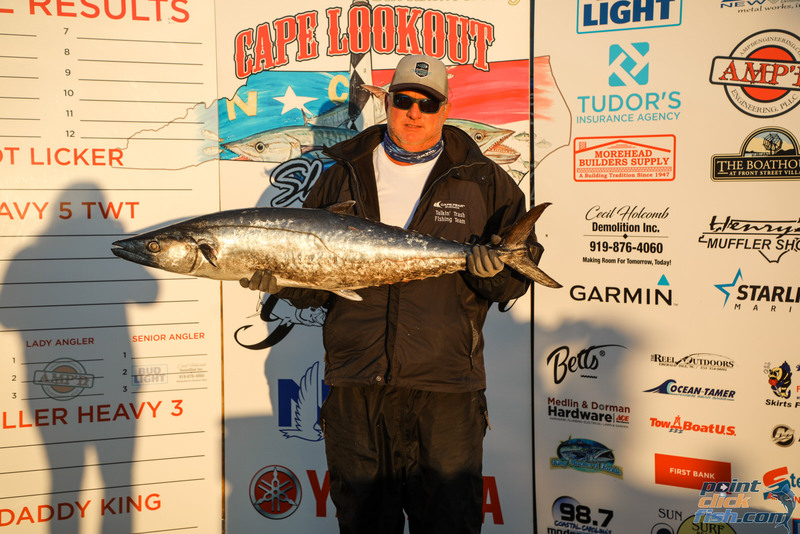 Several said they didn’t have bait until around mid day. 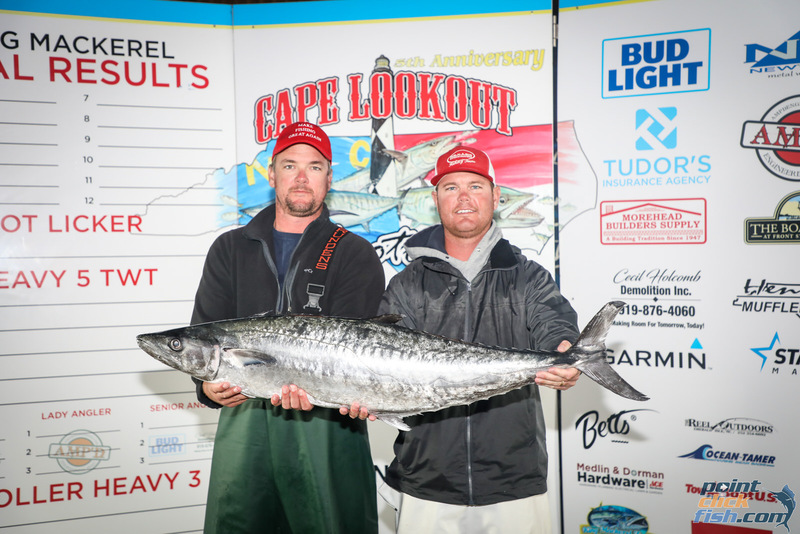 “We were one of the fortunate teams that caught bait pretty early and went fishing,” Said Capt. 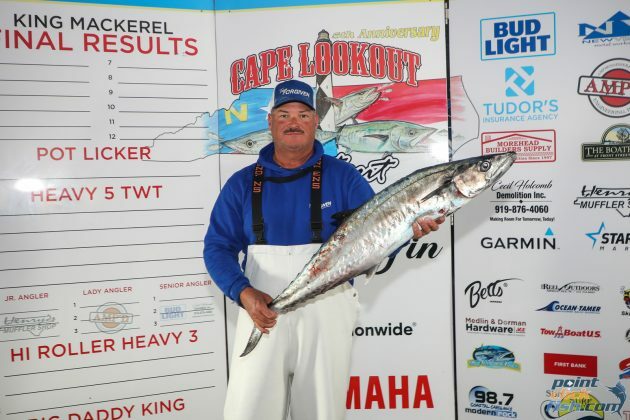 Jody Gay of Team Blue Water Candy. “We were just a little north of Ocracoke Inlet when we found it. 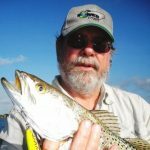 We had a little difficulty, but when we caught it and headed off there were still a lot of folks looking and throwing cast nets. These were what we call nanny shad at home. They were big healthy baits and we felt good as we headed out. 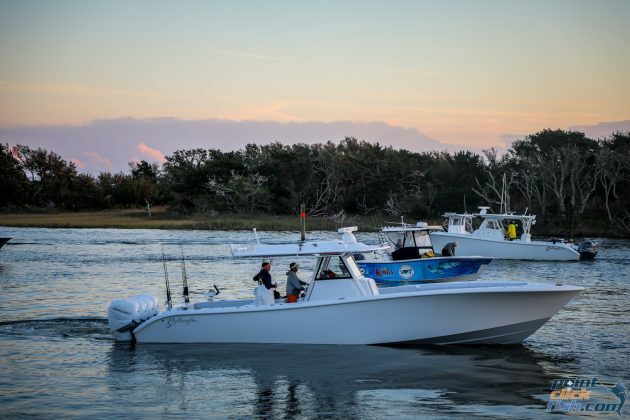 “Our first stop was at an artificial reef I can’t pass without giving it a shot,” Gay said with a smile. 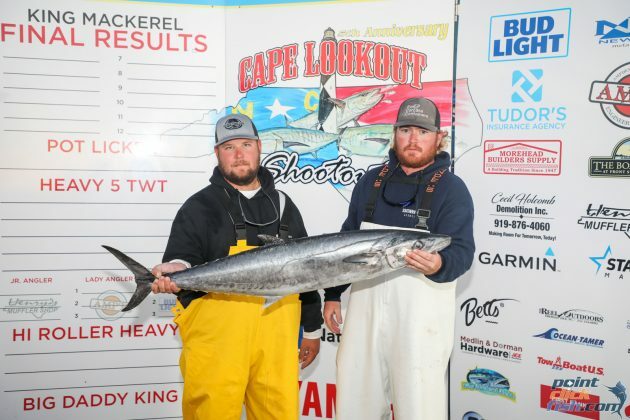 “Unfortunately the water was cold and when it didn’t produce pretty quickly we moved on. 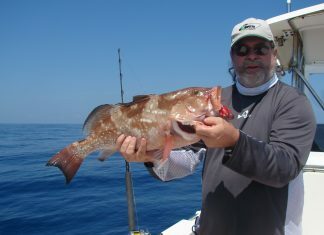 Our next stop was where we fished the day before and we caught a 30 pounder. We knew this wouldn’t be big enough to win, but were happy we had a king in the boat. 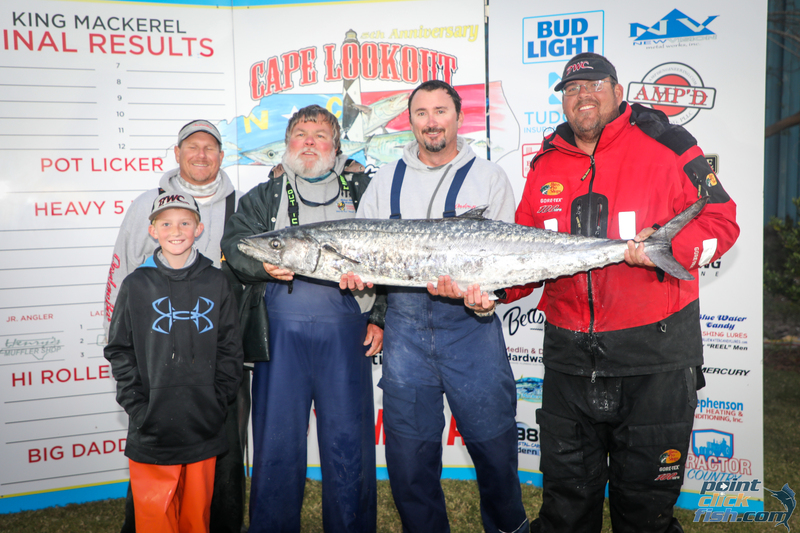 Later we caught a 46 pounder that made us feel better. 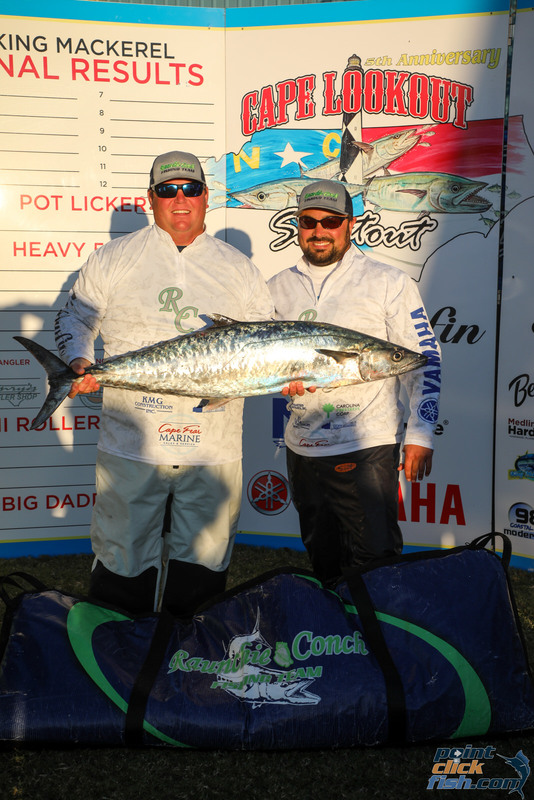 We knew it was a nice fish, a little larger than our fish on Saturday, but kept fishing as we didn’t think it would be a winner. 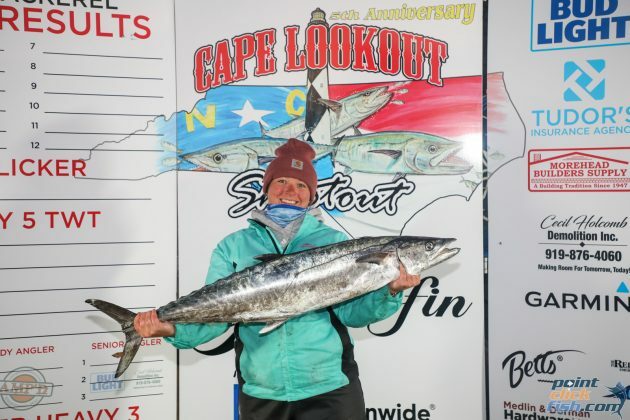 “We moved again a little deeper and were getting reports of a good bite farther offshore, but there were a lot of smaller fish in it,” Gay continued. 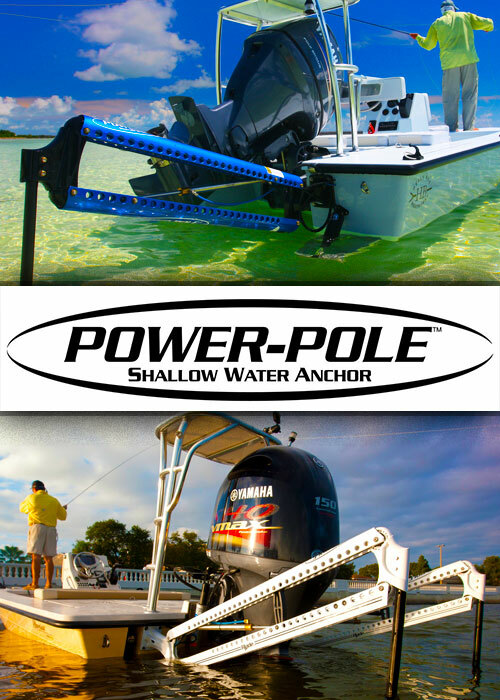 “After weeding through a lot of sharks, we put one of those big nanny shad down on a downrigger. I thought it would probably catch another shark, but radio talk was mentioning kings caught on downriggers, so we gave it a try. 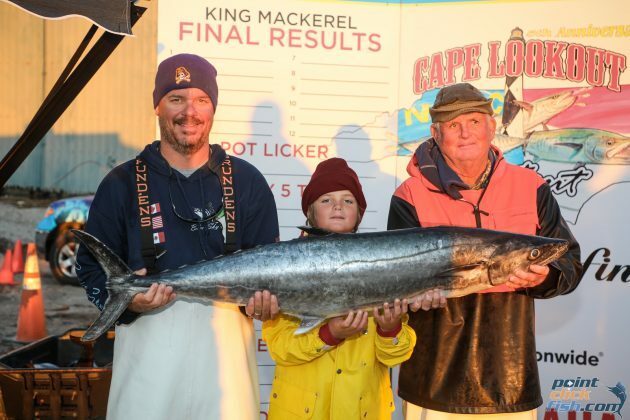 Gay and crew realized this fish was a bit larger than their other large fish, but still didn’t think it was large enough to win. 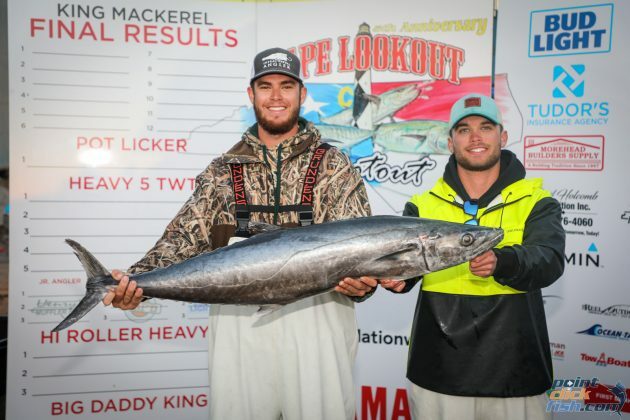 They figured they would be near the top, but kept remembering the two 50 pounders and all the 40 pounders caught the day before. 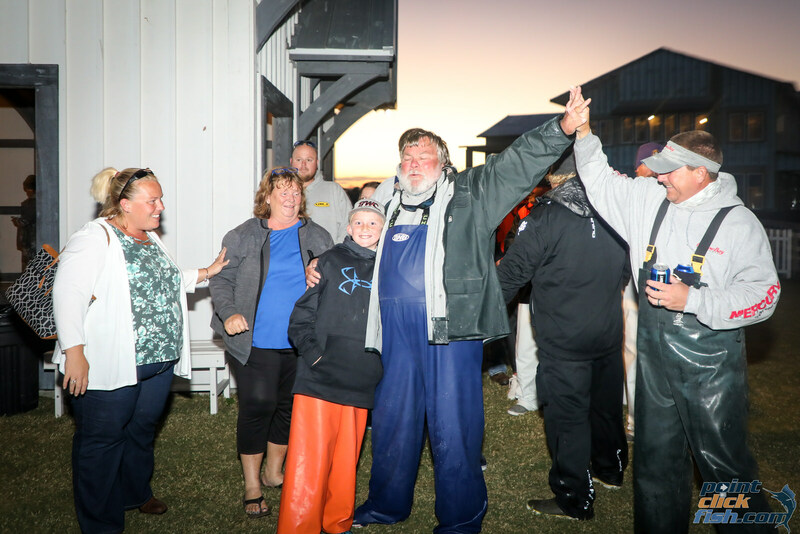 Once back at the scales at The Boathouse Marina, Gay and crew found their big fish weighed 48.02 pounds. 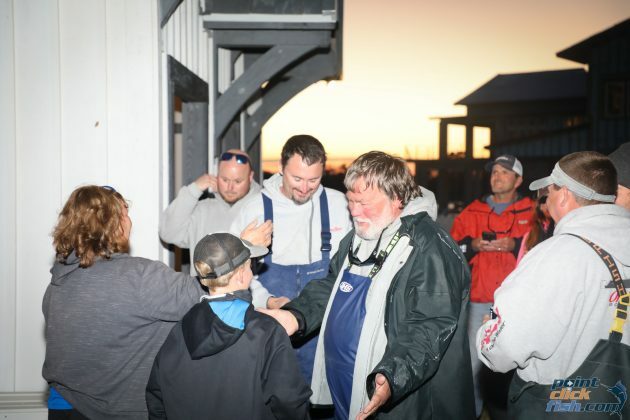 When the scales closed a little after 5:00 P.M., they also realized it would win both the Championship tournament and the third regular tournament. 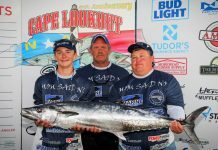 The Mrs. Teny with Ashley Jones and crew finished second with a 44.82 pound king and Harvey Hoopes and his son on Mom Said No finished third at 42.98 pounds. 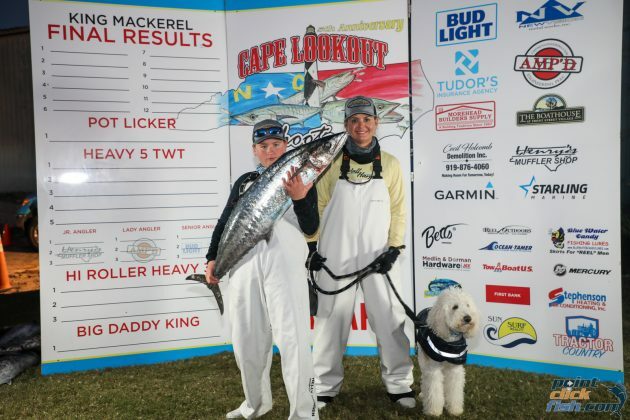 It certainly wasn’t something top count on, especially with this level of competition, but either of the Bluewater Candy’s two larger fish would have won the tournament. Connor McLean, Jody Gay’s 11 year old grandson earned Top Junior Angler honors for their catch. 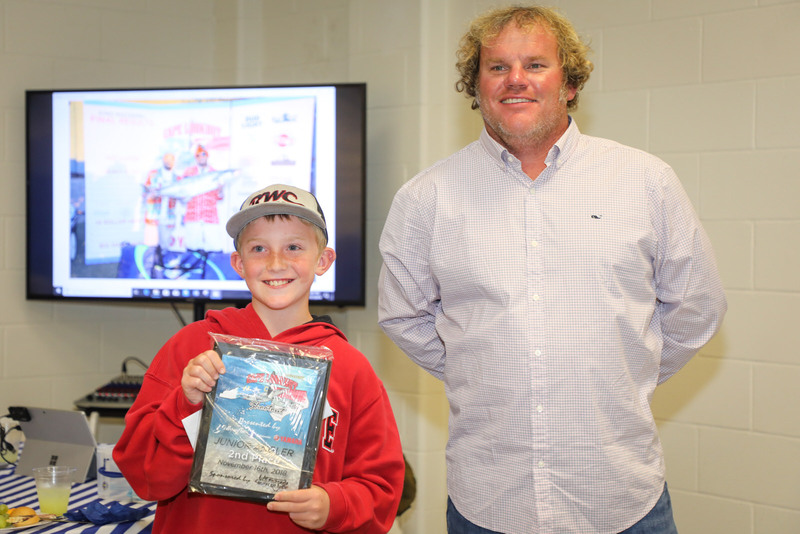 Connor had won Top Junior Angler honors before, but never when the team won the tournament. 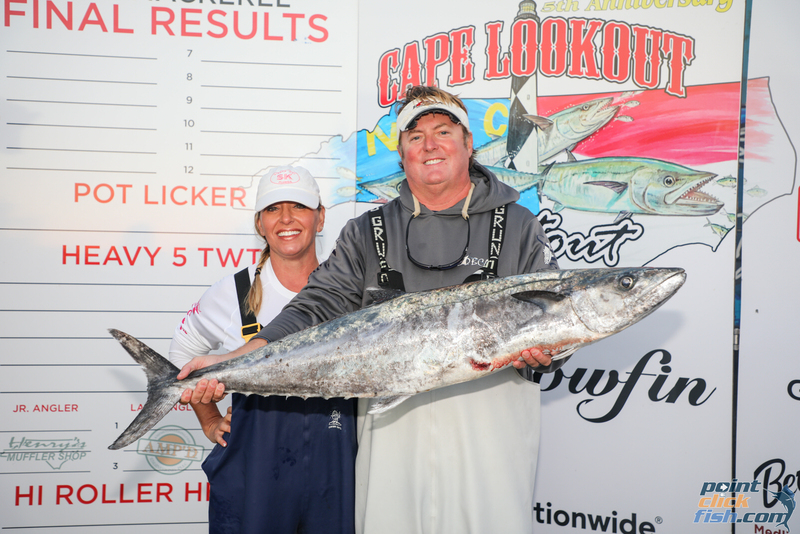 He summed the experience up in a single word – “Awesome.” Julie Moore was the Top Lady Angler and George Edens was the Top Senior Angler. The year began at odds for the Cape Shootout Series when the first tournament was postponed because of harsh weather causing unsafe sea conditions. 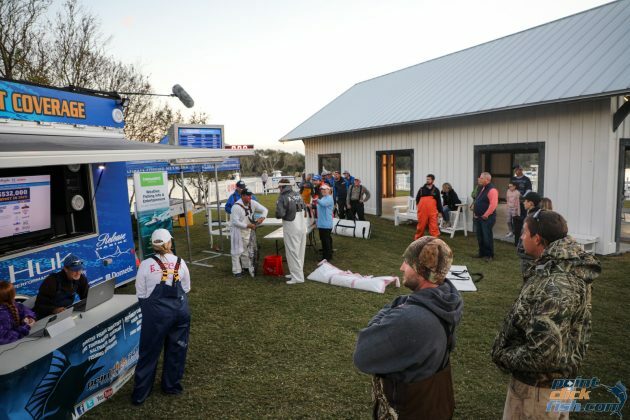 However, the series organizers had allowed for a makeup weekend and planned it into the schedule. 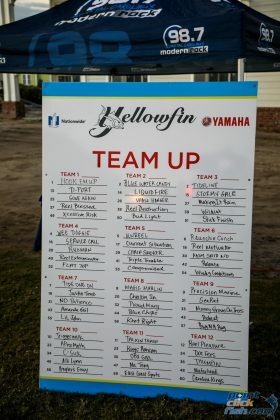 That was good planning, but, like many good plans, it didn’t work out. 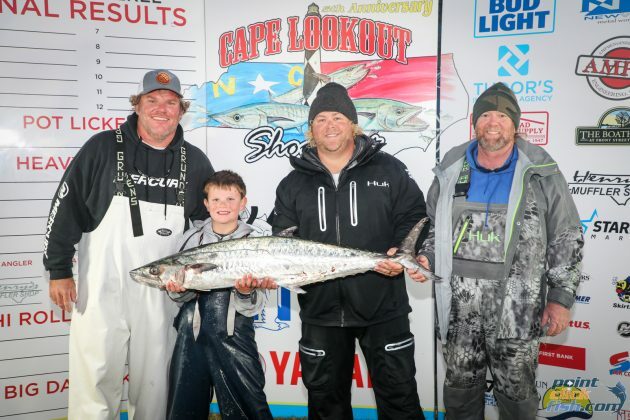 The second scheduled tournament became the first and then the third tournament was postponed. 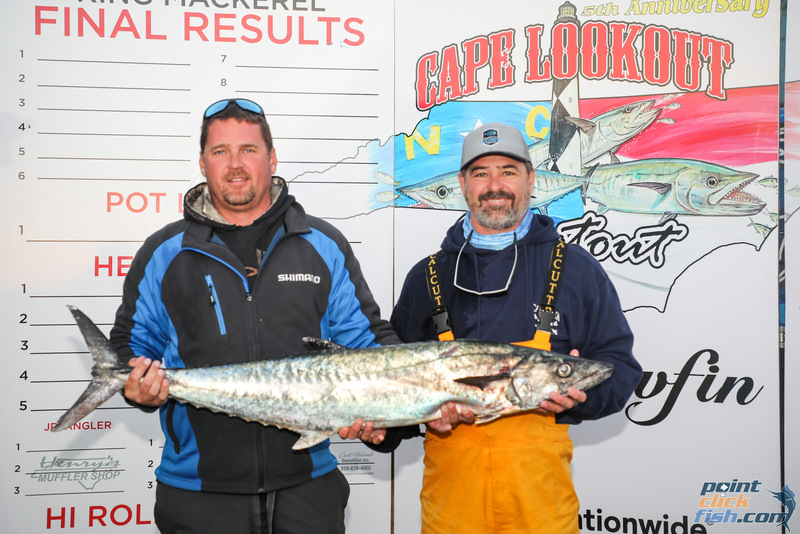 Now it would be the second and third tournaments held back to back on the makeup days planned into the schedule. 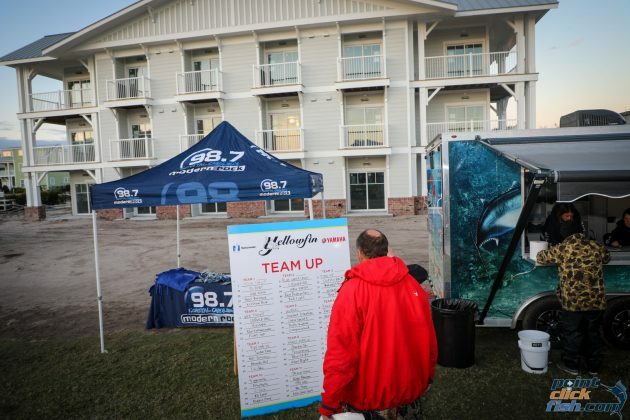 Unfortunately, that didn’t pan out either. Nasty weather intervened again and a Plan C had to be quickly developed. 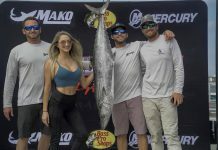 Plan C was to hold tournament 2 on Friday of the weekend set aside for the championship, then hold tournament 3 on Saturday and the championship on Sunday. However, the cantankerous weather wasn’t through yet. Windy conditions forced the postponement of tournament 2 until Saturday and now tournament 3 and the championship had to be held together on Sunday. Mother Nature and Mr. Grumpy Weather finally allowed this. Conditions weren’t the best on Saturday, but Sunday was nice. 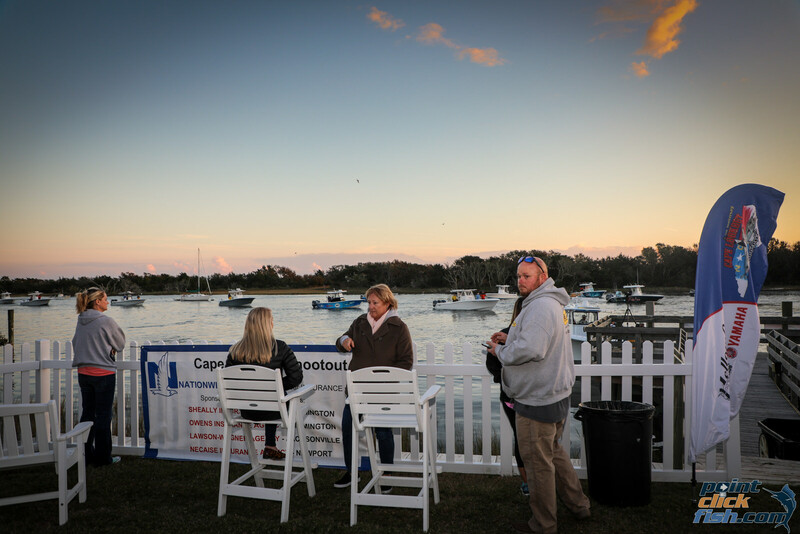 That wouldn’t have mattered though as it was time to go or go home and fishermen were chomping at the bit. Several 50 pounders were caught during tournament 2 on Saturday and that jacked up the fishermen’s intensity even more. 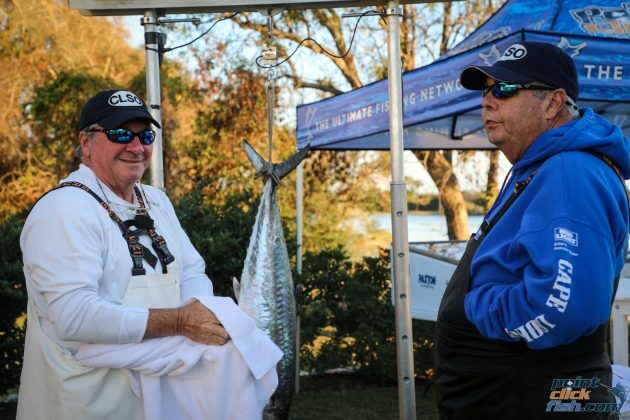 They were primed and ready to go that Sunday morning. 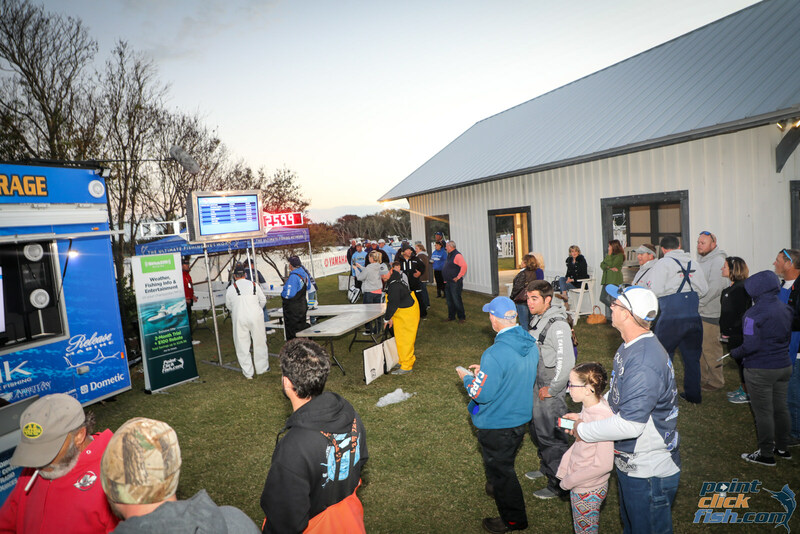 Everyone in the series was fishing tournament 3 and the top 30 boats were also fishing the championship. 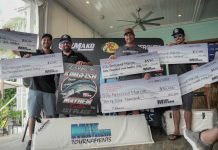 The prize money for Tournament 2 was awarded Saturday night and a lot more was awarded Sunday night. 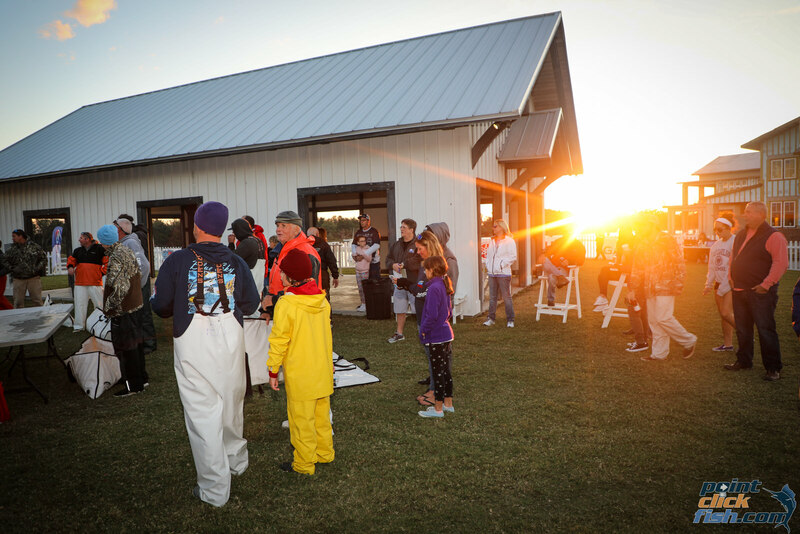 While the prize money was divided across three tournaments, this was the richest king mackerel tournament weekend ever recorded, with more than $350,000 awarded Saturday and Sunday evenings. 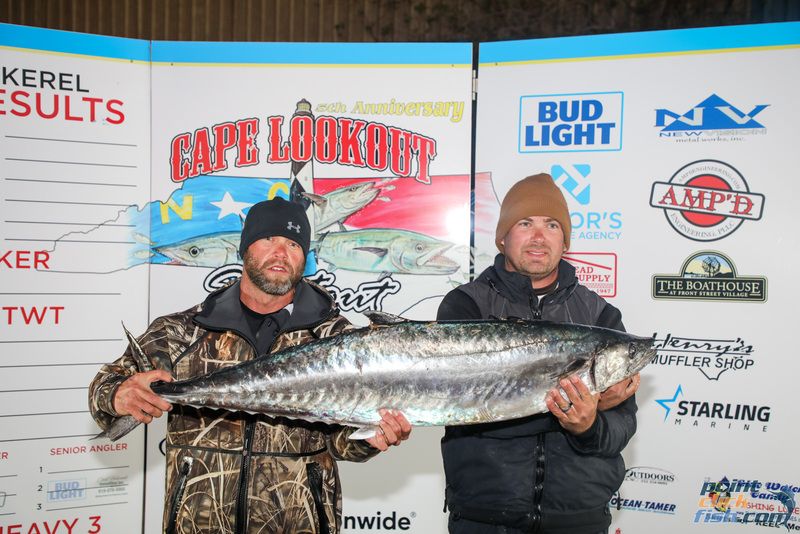 Team Blue Water Candy pocketed $119,020 for their wins. 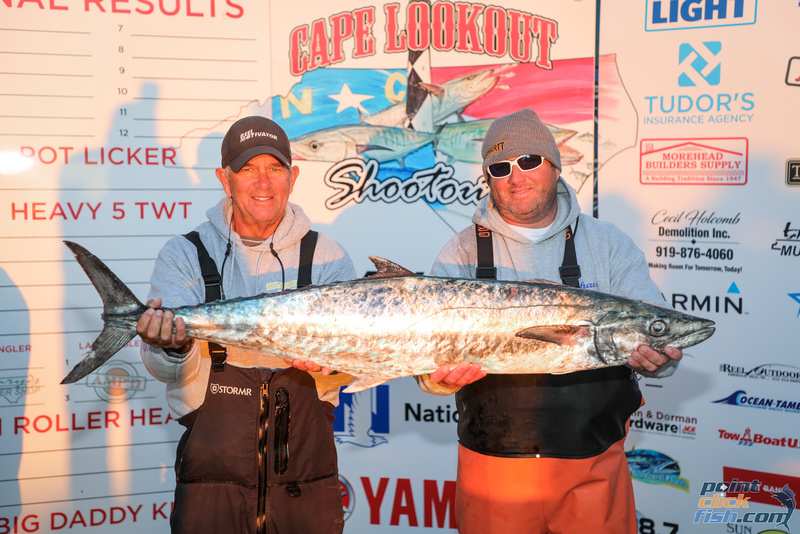 This is the second Cape Lookout Shootout Tournament Series Championship for Gay. 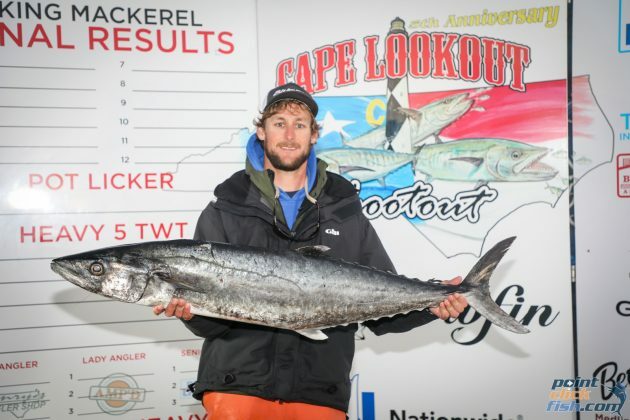 He previously won in 2015 as a member of the Knot Right Team. 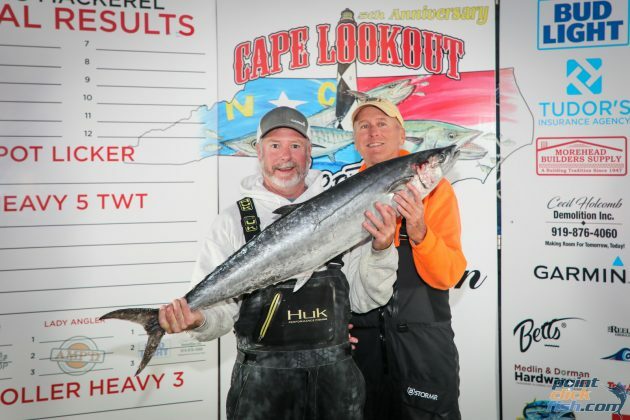 They caught a 68.67 pound king that remains the largest ever caught in any North Carolina Tournament. 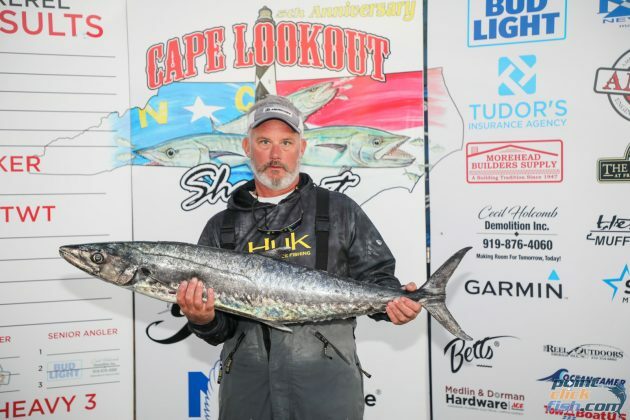 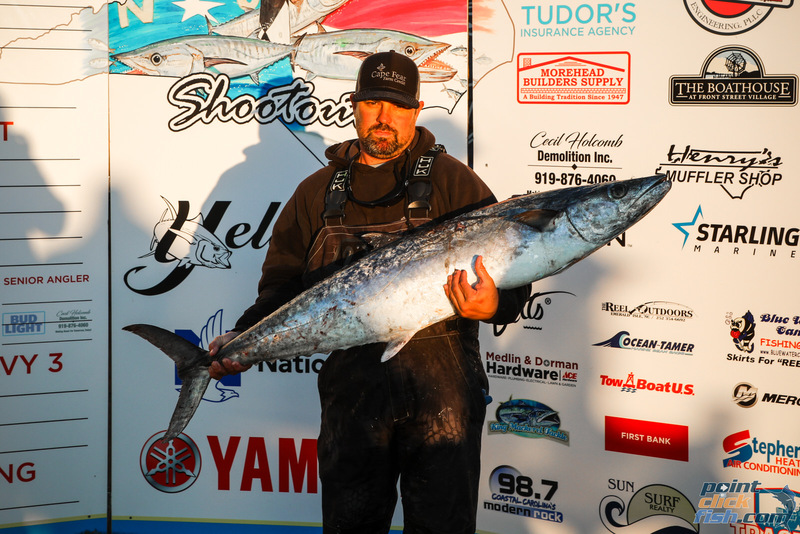 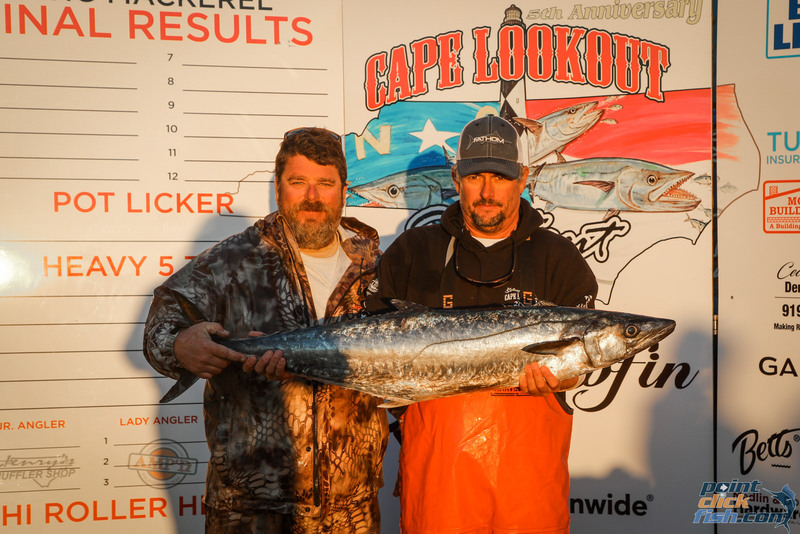 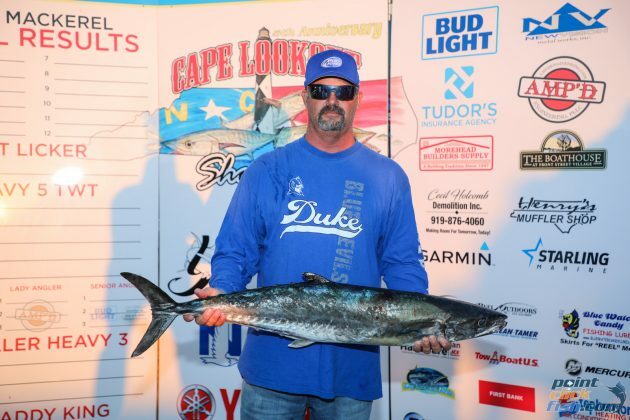 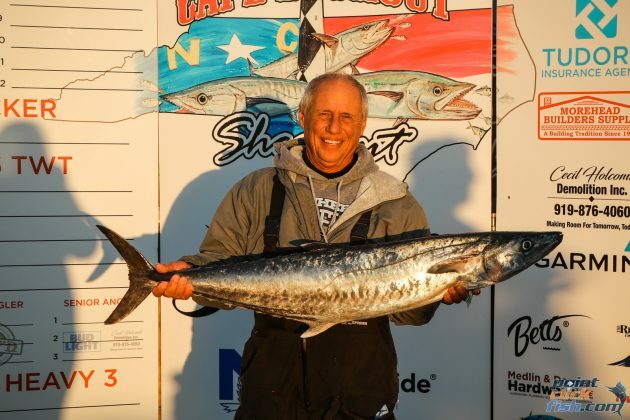 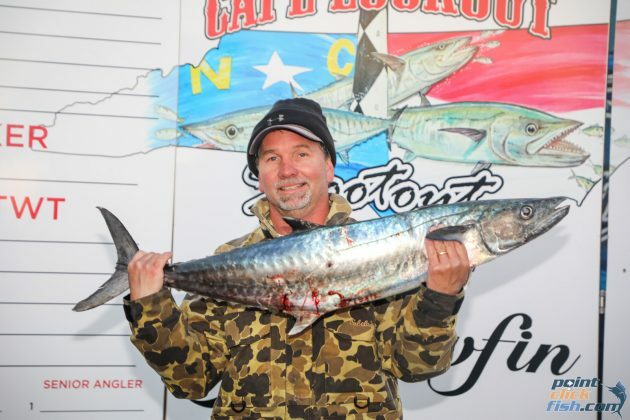 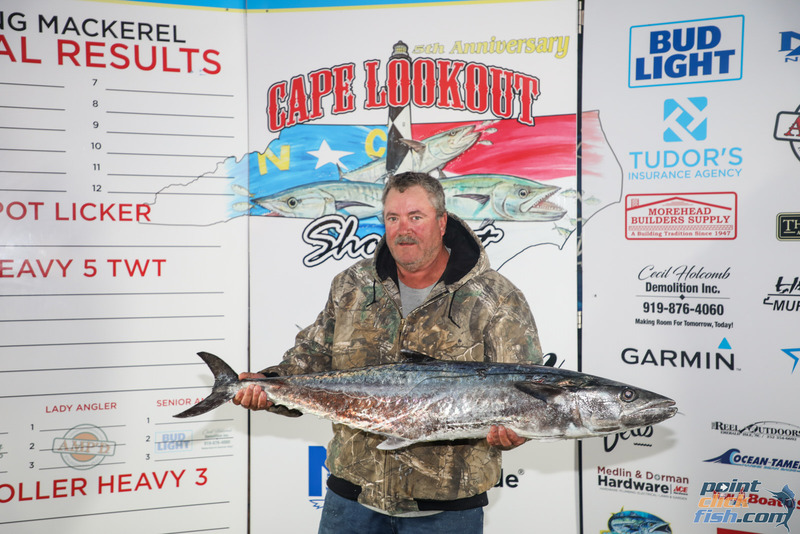 The Cape Lookout Shootout Series was formed as an elite king mackerel tournament series with the purpose of raising funds for Military Appreciation Day. 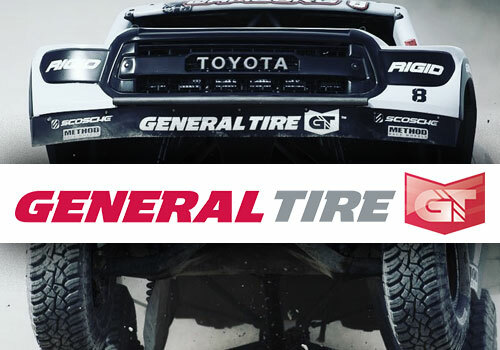 For 2018, the donation of $10,000 was made during the Championship Awards Ceremony. 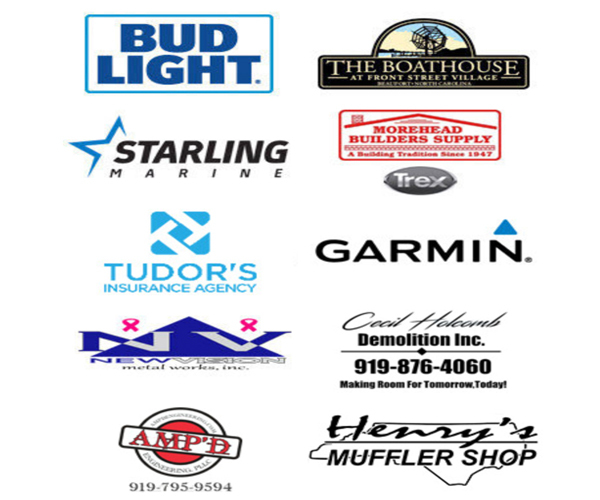 Military Appreciation Day (MAD, www.militsryappreciationday.org) is a N.C. based organization that shows appreciation to active duty military by taking them fishing. 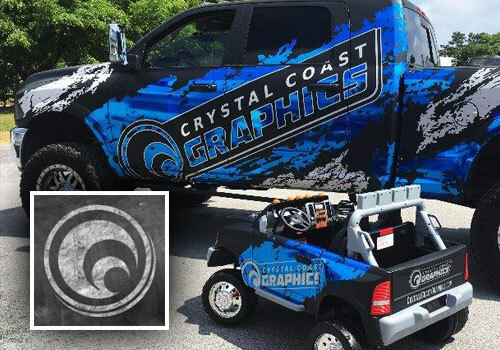 There are currently Military Appreciation Day events in Morehead City and Southport, N.C., Charleston, S.C. and Tidewater, VA.
Next articleHow To Take Care Of Your Boat – Vehicle Wrap?